Sairen is an artist who has made a big impact with her own distinctive sense of personality as both a producer and DJ. It's one that draws on a rich heritage of driving but funky techno, with acid flashes and musical twists helping to tell her story and keep things on the move instead of stuck in straight lines. A lifelong love of all things dub means this Amsterdam artist always makes and plays an organic, heavy, raw but rhythmic techno sound that is irresistibly punchy. Once lost between her beats, her edgy and energetic mixing style will keep you on your toes and take you somewhere new. Having played in more than 10 countries over the last seven years, Sairen has played main festival stages as well as plenty of small and sweaty basements. She adapts her style to ensure that connections are always made with her crowds wherever she is playing. Her raw edge and taste for atmospheric and stripped down drums as well as heartfelt chords and stabs is what made her an essential resident at Toffler in Rotterdam, as well as a guest at places at Sonar, Kater Blau in Berlin and at Ibiza hotspots like Ushuaia and many other essential places around the world. Always adding personal human emotions to her techno productions, they exude real warmth and soul thanks to her signature chord stabs and stripped back but effect style. In the mould of greats like Robert Hood and Truncate, she never overproduces her tracks, instead doing just enough to make them turn the heads of those who know. 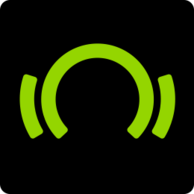 They have come numerous times on the likes of Kevin Saunderson's legendary KMS, with 'Purpose', 'Chapter 1' and 'Chapter 2' all proving underground hits, as well as on labels like Lyase Recordings and Inmotion Ltd. under former alias Sirena. 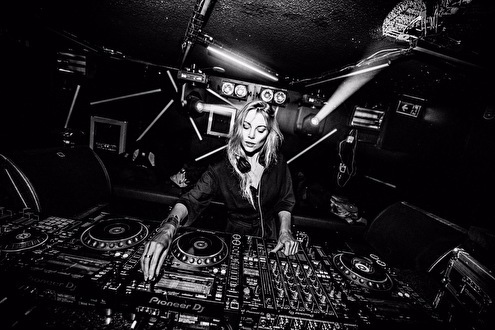 She has recently signed to a new agency, has press lined up in DJ Mag, new tunes in the works and gigs at vital clubs like Fuse with Chris Liebing closing out her 2018. Having started out as a music journalist and then going on to host a radio show on Ibiza Global Radio, Sairen has experienced dance music from both sides of the divide. It is that which means she has a rare understanding of what it takes to move the dance floor. As she continues to put that into practice both in the booth and the studio, 2019 will see this tiny person make her biggest impact yet.